Wondering where to work when you're on the road? 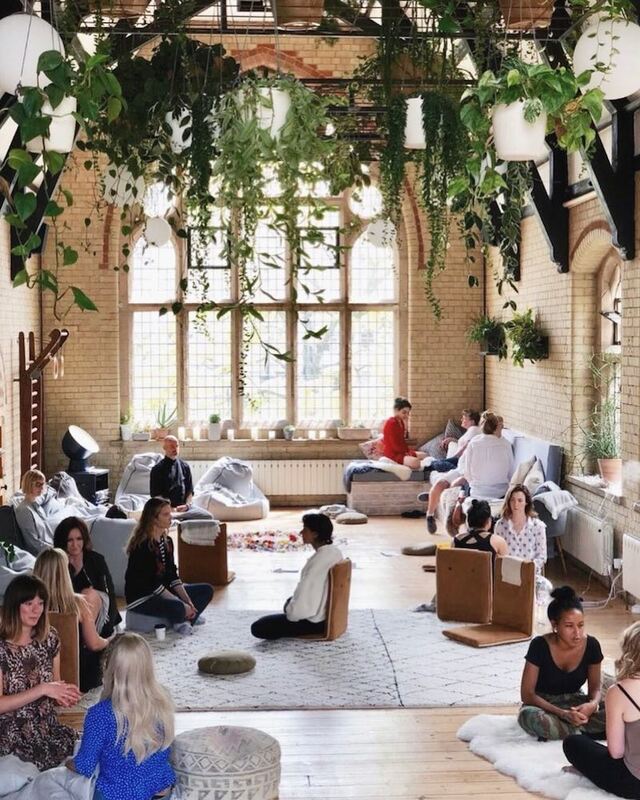 We're breaking down the 10 best coworking spaces in London, England - from more corporate offices to plant-filled spaces with complimentary yoga classes. One of the most important decisions that you’ll need to make every day as a remote worker is not only what to work on, but where to get work done. There are plenty of options available to you today, with laptop-friendly cafés, homey Airbnbs and, our personal favorite, inspiring coworking spaces, popping up in major cities around the globe. In some ways, we’ve actually gone to the opposite end of the spectrum, where it can feel like there are too many coworking options to choose from. Depending on your industry and working style, you’re sure to have a few preferences about what your workplace should look and feel like. 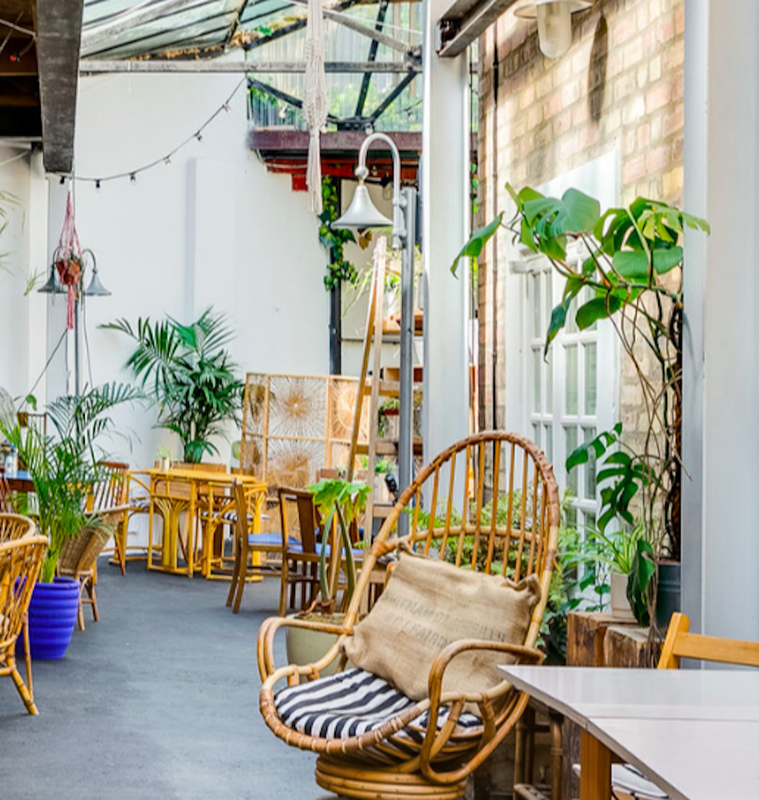 Should you try the space downtown that is filled with bright light and a jungle’s worth of plants? Or do you opt for a more corporate environment with individual conference rooms and call booths that you can use at your leisure? If you’re new to the remote work game, you may not want to spend precious work time trying to figure out which coworking option is right for you. Forget spending hours scrolling through websites and Instagram profiles of your local coworking spaces to determine which ones fit your wants and needs - we’ve done the work for you. 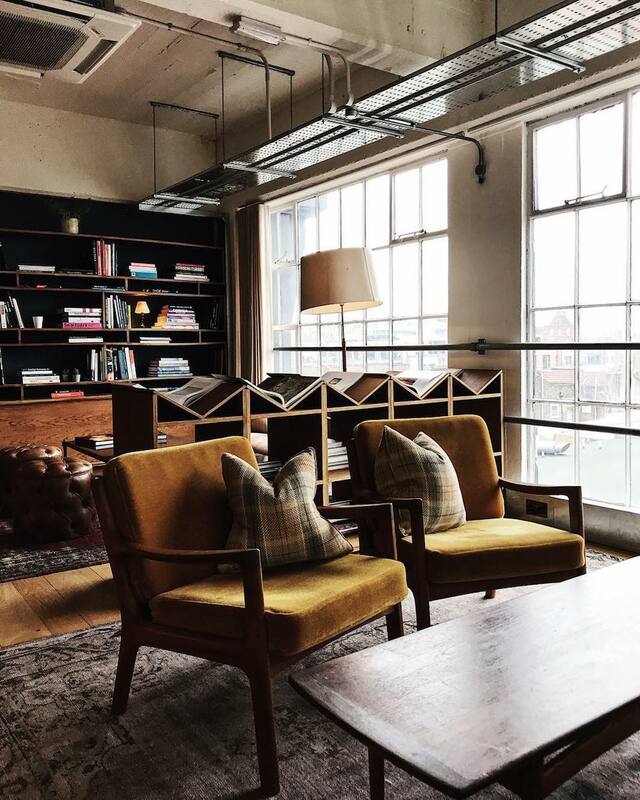 In today’s edition of “where the heck should I work in this city?”, we’re highlighting the best coworking spaces in London, England. Join a work and travel program to experience remote work around the world. Like any good coworking space, Huckletree has a very specific vibe that draws in like-minded employees, entrepreneurs, and freelancers. This space is all about bold color and pattern, shouting its message through its design: this is the place for futurists, innovators, game changers, and risk takers. 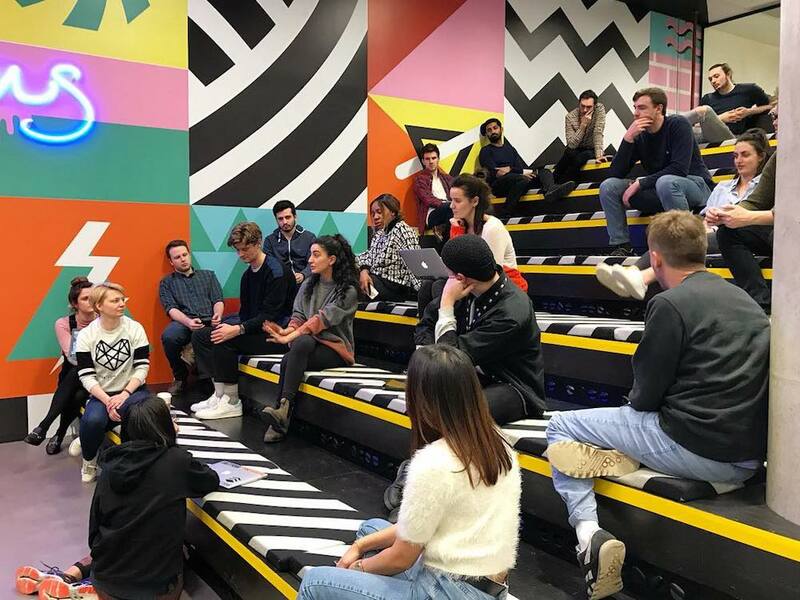 Huckletree has an all-encompassing belief that collaboration is key to building a successful business, and it rings true through their space, as well as their programming. 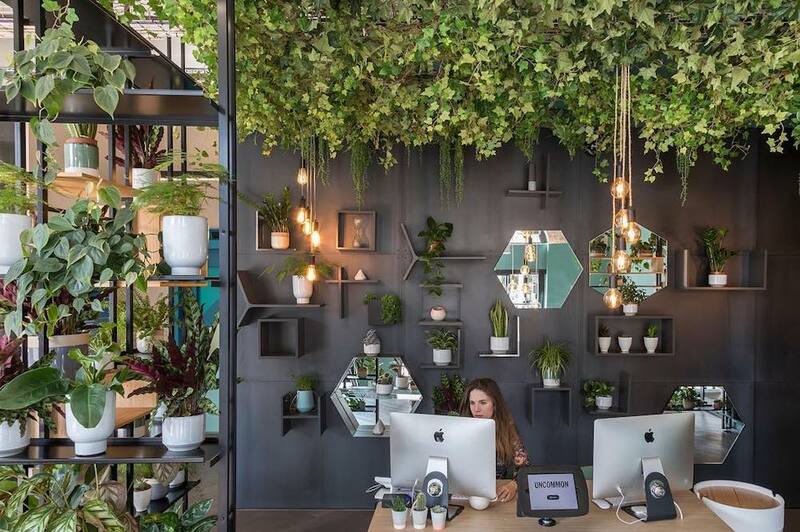 Membership benefits include global access to their other spaces around the world, access to breakout spaces like meditation yurts and indoor gardens, exclusive events, and weekly drinks with the Huckletree community. If you prefer a more laidback space, filled with neutral, earthy tones and a calming environment, 42 Acres could be a great choice for you. Their ethos revolves around the idea that change comes from within, and that by bringing together a community that thinks the same way, they can manifest a more sustainable and environmentally-friendly future. In addition to sustainability, 42 Acres is focused on keeping its members physically and mentally fit. They provide a variety of spaces that allow you to change up the position from which you work, whether you prefer to lay, kneel, stand, or sit as you knock out your to-do list. Members-only events include yoga classes, meditation sessions, and even immersive wellness retreats located in 42 acres of woodland and farmland outside of the city. One review on their website says, “42 ACRES is like coworking in a day spa.” We’re sold. When you picture Google’s campuses what images come to mind? Do you see yourself amongst individuals with innovative energy and purpose, ready to take on the world’s problems behind their whirring screens? How about open spaces where people can choose to work wherever they please for the day? That’s what Campus London is all about - and the Google-y vibe comes as no surprise because it’s actually run by Google! As a member, you’ll be part of a group of forward thinking entrepreneurs, some being a part of the Campus Residency program, which offers support to growth-stage startups and access to global Google resources. You’ll also be able to participate in initiatives like Campus Mentoring, Campus Meetups, and Campus Startup School which teaches entrepreneurs the skills they’ll need to be successful in their startup. Connect with a member of our Program Placement Team to see if you would be a good fit for a work and travel program. If you want to pursue your passion alongside other free-thinking entrepreneurs, activists, creatives, and entrepreneurs, you’ll want to head to Impact Hub. This is the coworking space for people who not only want to change their lives - they want to change the world. With four locations throughout London, and others located around the world, you can use your membership to create a global network of movers and shakers. Here in London, you’ll still have access to exclusive membership perks like complimentary beverages, events hosted by thought leaders in a variety of industries, and genuine integration into a community that will inspire, support, and push you to take your idea to the next level. The name “Soho Works” may remind you of another well-known community space: Soho House. And for good reason, Soho Works is a professional-focused offshoot of Soho House and provides many similar amenities, but with a remote work twist. Soho Works is a 24/7 coworking space that houses both individuals and businesses involved in creative industries. The London location has facilities such as an onsite all day café and bar, a kitchen, break out spaces, a library, a reading room, a rooftop terrace, a workshop with crafts, tools, and a 3D printer, as well as direct access to the Shoreditch Soho House for members. Soho Works also offers exclusive events to its members with topics ranging from craft-based workshops to branding building and trend forecasting. Looking to add a bit of boss lady energy to your day? AllBright is a women-only coworking space that strives to create opportunities for women to thrive and flourish. Their interior design reflects their feminine, but laser-focused mission to support women at every stage of their career. When they’re not helping women shatter the glass ceiling, they’re offering luxurious experiences for their members. 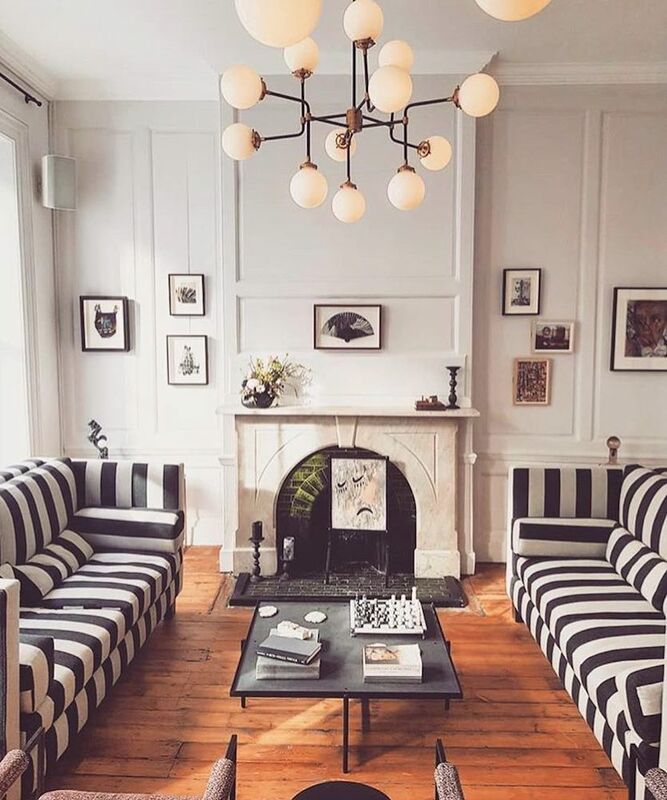 For example, AllBright has an onsite salon where members can receive manicures or blowouts, and a fitness space that hosts classes in everything from boxing to pilates. Some coworking spaces were created with design in mind, while others were created with a focus on function. Central Working is that coworking space. While sleek and modern, it is one of the more corporate-looking spaces on this list, but don’t let that deter you. It’s become a go-to choice for entrepreneurs who are interested in expanding their business and adding new employees, but don’t yet have the capital to invest in office space in London. 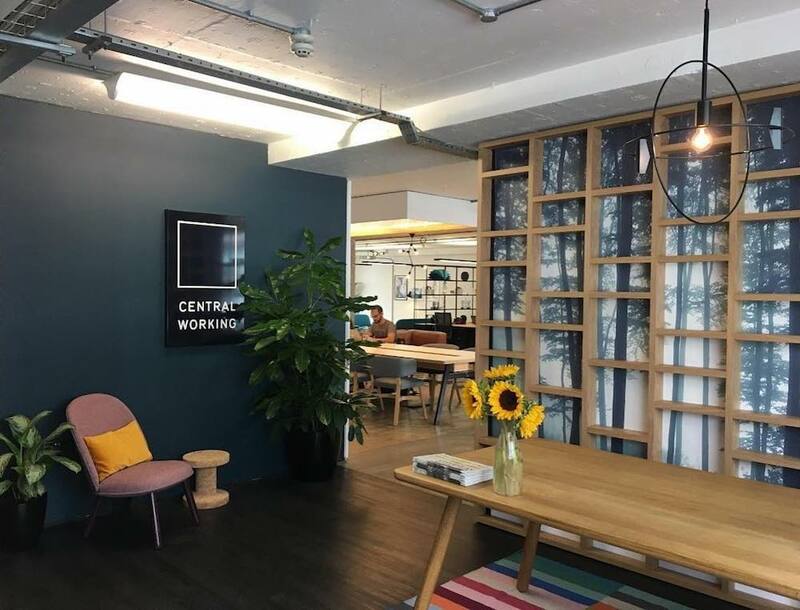 Central Working has flexible office options, so you can decide whether you need a private office space, or a mix of shared desks in their different international locations. It really is this easy to connect with other entrepreneurs while building your own business in a no-worry environment. Ready to work remotely and travel the world? Our Program Placement Team can help. For those of you who do you work with your hands, you’ll want to check out Makerversity. Along with access to desk space, you’ll also be able to use studio and workspace where you can use digital tools and traditional machinery to create your work. You’ll join a community of makers who specialize in design, materials, manufacturing, and production when you become a member at Makerversity. 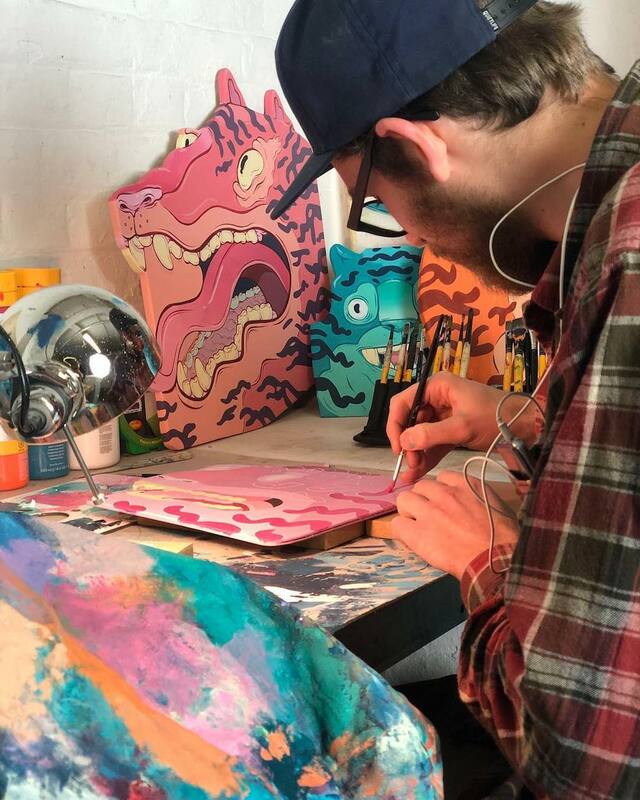 They currently have two locations: one in London and one in Amsterdam, so it’s possible for you to meet people from outside of your social circle and become inspired to learn, grow, and build upon your creative business. When we were talking about a coworking space filled with plants before, we were referencing Greenhouse. This affordable option is great for those who are just entering the world of remote work and want to test out the phenomenon of coworking. They have many spaces within their location, some suited for those who prefer a more corporate setting and some with an open, relaxed café feeling. 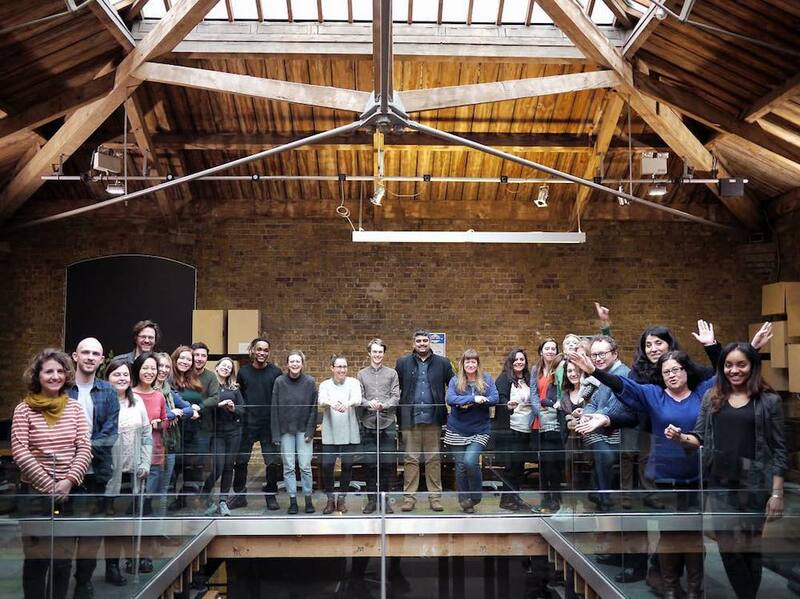 If you’re interested in hosting an event that would bring the creative London community together, Greenhouse also has bookable space where you can host events, trainings, seminars, or workshops. This is your chance to test the waters of remote work and build a name for yourself within this growing community. True to its name, Uncommon is a coworking space unlike any other. Not only is it focused on helping you do your job well as a remote worker, but also to help you live well. You’ll find all the necessary amenities of a coworking space here (meeting rooms, standing desks, high-speed internet, a coffee lounge), and you’ll experience it all through the lens of wellness. 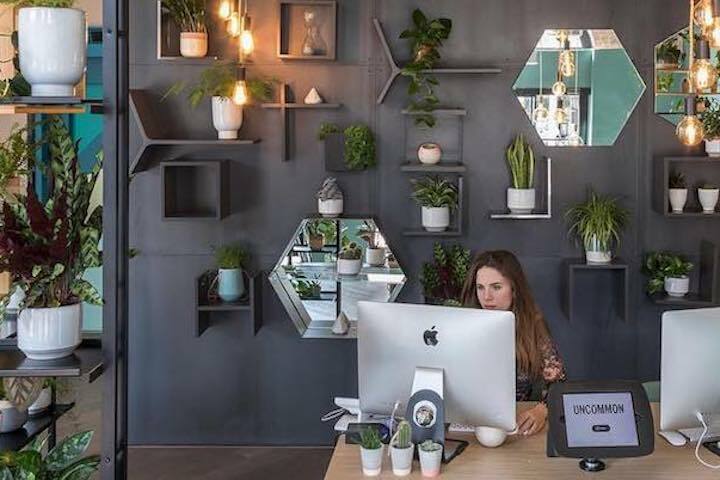 Uncommon was intentional in their planning, creating spaces that are filled with ergonomic furniture, plants, music with a rhythm designed to help you focus, great lighting, and scents that awaken your mind to new ideas. As a member, you can join your community in fitness classes and a running club, calm your mind in designated quiet spaces, and seek advice from an in-house nutritionist so that you can keep your body healthy while your mind gets to work. It’s true that where you work can be as important as what you’re working on. With a bevy of options to choose from in the coworking space, it can be difficult to decide what vibe makes the most sense for your working style. However, with this list in mind, you’ll be able to make a decision so , you can go back to giving your full attention to your projects, passions, and purpose. 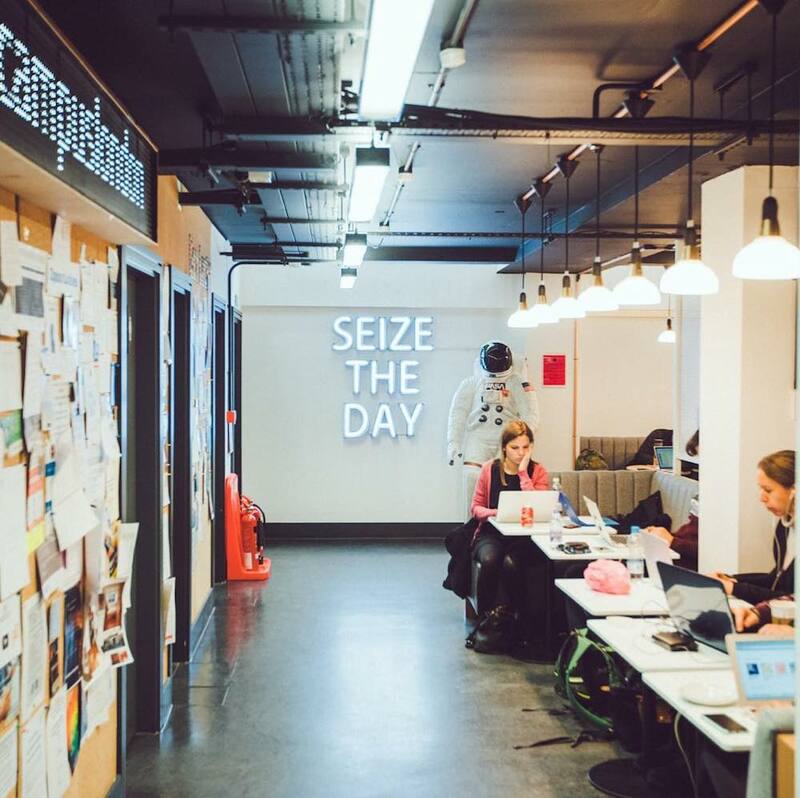 The next time we’re in London, we’ll see you at one of these coworking spaces! The (complimentary) coffee’s on us.